Look at the world’s precipitation, winds, and temperature, as well as a full-color view of each climate. 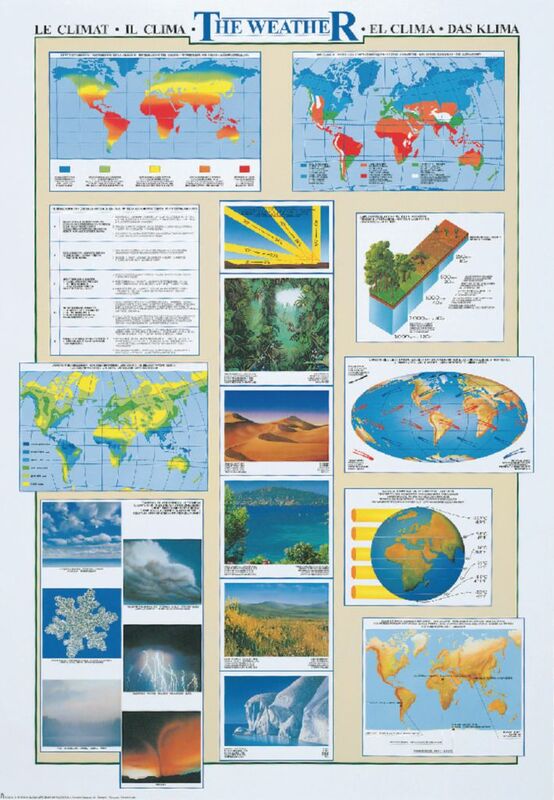 Poster features full color graphical depictions of world heat distribution with explainations of thermal groups, the climatic zones, annual precipitation, atmospheric circulation, average temperature at different latitudes, and sun ray angle. 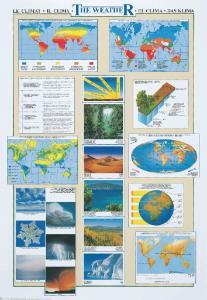 Poster also features examples of atmospheric phenomena, different climates, four extreme climate records and more. Laminated. Size: 26" x 38".